There will be times in your life where you want to bring a new cat home, or bring a new dog home. Interspecies introductions can be very tough. Cats can feel very threatened by this new animal who could potentially kill them, and dogs can be very excited to see, smell or even chase their new housemates. At worst, you may be bringing home a dog who has never been taught not to harm cats, and every year there are a number of returns of dogs to the refuge following incidents with cats. A small number of these have involved the sad death of a resident cat. This guide will help you introduce your animals to each other and avoid such sad situations. Sadly, many owners just bring a new dog home and hope for the best. They make no provision for either animal. Sometimes this works out. The cat doesn’t run and the dog isn’t interested. Some dogs at the refuge are already experienced around cats and have learned at an early age that their claws are sharp or they have been taught good manners around cats. This is not always the case. With such a large number of ex-hunt dogs on site, we are also very conscious that a dog’s instinct to chase something that runs is hard-wired. If you have cats already at home, the best thing to do is to test the dog that you would like to adopt around cats. At the refuge, we regularly walk dogs past the cattery, or test them with the cats at liberty. We have become experts at knowing when dogs are obsessed and when dogs don’t care less. When a cat can pass a few metres in front of a dog without a reaction, you can be pretty sure that the dog will be a good choice for a life with cats. On the other hand, you can see when a dog is obsessed and can’t take his eyes off a cat. You can see here how easy it is to get Hugo’s attention on me and the camera. And you can see here how hard it is. The difference was the cats. I simply could not get Hugo’s attention no matter how I tried. That means it may be a difficult introduction and one that may not work out well. 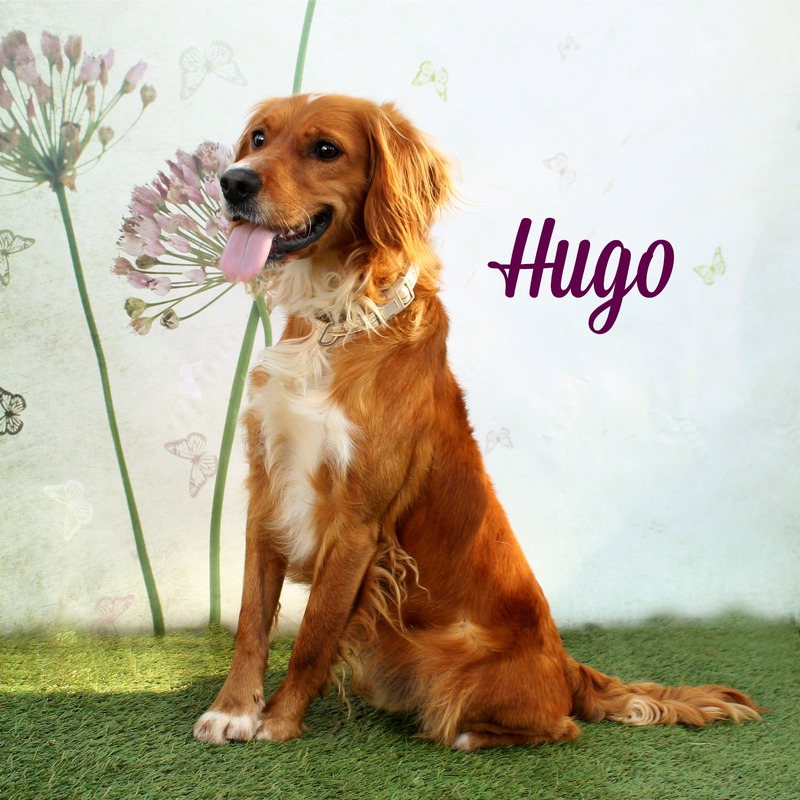 If you have your heart set on a dog like Hugo who is obsessed by cats, you will find the following advice useful, but you should also take the dog on a trial adoption instead of adopting outright. It is better to see how it goes than make a decision that is much harder to reverse. A dog who attempts to pin, pick up, manhandle or swipe at a cat is not a good dog to have around cats, likewise if they growl or grumble. It is the same with cats who are terrified of dogs. In this situation, you would be better to choose animals who are more adapted to your situation. It is why I lived for 16 years as a cat-only home, and why I live now as a dog-only home. If you are desperate to have both in your lives, why not foster old dogs who are less likely to upset your cat, or young kittens who can be kept isolated from your dogs? It is not unfeasible for animals to live completely separate lives. If, all this taken into consideration, you are in the position to become a multi-species home, the following advice may help you. If you have a resident dog and you are bringing a cat home, what you do will be different from if you have a resident cat and you are bringing a dog home. It also depends on the age of both animals. The first thing you need to know is if your dog is likely to accept a kitten or not. I have two dogs who are fine with kittens and one who licks his lips and feels a bit stressed around them. Then I have a serial licker who wants to kiss them. But he’s prone to try to pick them up if they run, and I don’t like that. I’ve seen him shaking toys in the garden and I can’t get his attention back on me if there’s a kitten in my hands. This information is the information you tend to know as a dog owner. Forewarned is forearmed. If you have a dog that will accept a kitten, there are several things you can do to make the introduction go smoothly. Make sure you have good control of your dog around distractions. You should be able to get him to sit and take a biscuit and he should also know the commands for ‘leave it’ and ‘stay’. If you have these under control, the introduction will be much easier. Think about your dog’s breed: if they have a strong prey drive, they may find it much more difficult to control their instincts and make good choices if a kitten starts to move or run. Use a dog crate or large transport crate for the kitten. Make sure the dog cannot get to the kitten and that the kitten cannot escape or try to run. It is the running that sets off many dogs. Make sure your dog is well-exercised and then put them in separate rooms. Put the kitten in situ, ensure it is safe and then bring in your dog. Keep a lot of distance between you and the kitten, but allow the dog to see and smell it from this distance. Put a lead on your dog if need be. Ask your dog to sit, to look at you and reward them every time they look at the kitten without lunging. You want them to understand that kittens = a positive experience. After a period of time, let the dog get closer to the kitten and sniff it. The kitten may hiss and growl, but it is safe and can’t be hurt. Keep rewarding the dog for quiet behaviour and repeat your commands to sit, to look at you, give a paw and so on. This way you know the dog is not too focused on the cat. Keep the kitten in the transport cage or dog crate (with litter, water and food of course!) for an evening or so, once you let your dog off-lead around it. Calm, quiet and peace are your allies here. You just want to get everything to a state of normality. 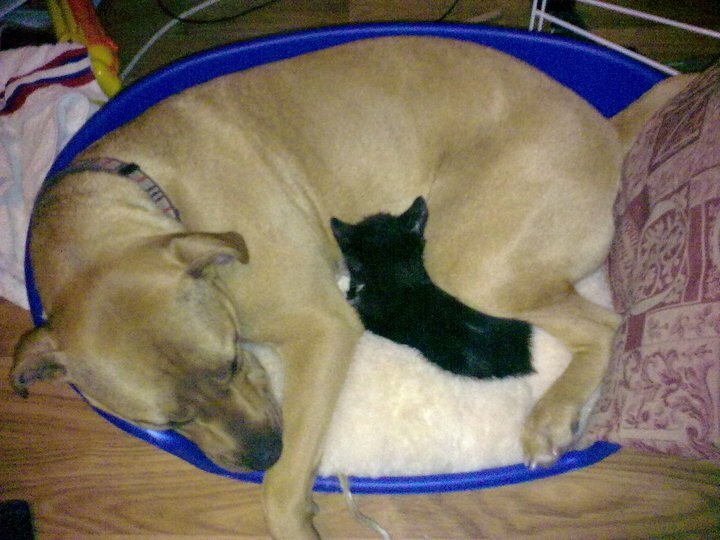 When there is a prolonged state of calm, make sure your dog can’t get to the kitten, but take the kitten out of the crate. You may want to have another person present and ask them to keep your dog on a lead. Ask them to treat your dog and run through commands, gradually bringing the dog and kitten closer together. If at any point the animals seem panicked, over-excited or stressed, put a bit of distance between you again. Keep hold of the kitten and have them out of reach of your dog. Allow your dog to smell your kitten and see your kitten whilst the kitten is in your hands and is firmly held. This is the first time there can be real contact so be very careful that your dog is under control. Your friend or family member is a great aid here to keep your dog on a lead. Only when you are happy that your dog is not over-intereste or obsessed is it a good idea to allow your kitten to move. Again, keep your dog on a lead and reward all non-chase behaviours. Keep both animals separate when you are out or unattended, and make sure their spaces are secure. Gradually give the animals longer and longer periods together when you leave them in a room together. Go from a few seconds to build up their time alone. If you are in any doubt of your dog’s behaviour, never leave your dog and kitten alone unattended. The same advice goes for an adult cat, although you need to be mindful that a cat will most certainly have met dogs before. You may find at the Refuge de l’Angoumois that the staff can advise you on a number of cats who live at liberty in the refuge and who are not afraid of dogs. These cats would be more suited to a life with adult dogs they haven’t met yet. Then your only concern will be how your dog reacts to the cat, rather than the cat being afraid of your dog and running. Indeed, there are many cats at the refuge who have no fear of dogs at all, not even a healthy fear. Scent and sight-swapping is a great thing to do before you introduce your animals to each other. Allow your new cat to roam a room, even to sleep in it, and then remove the cat from the room. Once the cat is installed safely elsewhere, bring your dog in to smell where the cat has been. Do likewise with your cat in the places your dog has been. If you have a glass door that divides a room, this is a great barrier as well, since both dog and cat can see each other in perfect safety and you can teach your dog restraint when it sees your cat by rewarding it for calm behaviour. Reinforce sit-stay behaviour and make sure before you have the animals in the same room that you can keep your dog under control. It is your dog that will always be the one who has to exercise restraint around the cat, I’m afraid, so your focus should always be on your dog’s behaviour. You simply can’t take too long to introduce two animals: go at a slow pace and never force your animals to interact. All of the advice above can be followed, except for the fact you cannot easily hold a cat to allow that first contact beyond a crate, so a large room with a safe area for the cat is best. Ask your friend or family member to be at the opposite end of the room with your dog and keep the dog there under control with a lead and treats. Allow the cat plenty of space to get away if need be. You can’t take too much time at this point. Continue with a series of small, gradual meetings and always supervise your animals until you are absolutely sure you can leave them for a few minutes, then build up the time you leave them alone together. This is your cat’s house. The puppy is a new intruder. Most cats will be able to handle a puppy easily enough, especially if the puppy is young enough. A couple of swats from confident kitty claws are enough to teach even the most hardened terrier pup that a cat is not for messing with. Still, supervise your puppy and allow your cat plenty of space to get away from the puppy. Make sure you remove all cat food and cat litter as puppies can quickly learn that a cat litter tray is a lovely all-you-can-eat help-yourself buffet. That is a habit you never want them to pick up. Your puppy needs you more than ever to teach them to sit, to stay, to look at you. Don’t allow unsupervised meetings between puppies and cats – the moment a cat runs can bring out the predatory instincts of a young puppy and that too is something that you want to avoid at all costs. The moment that ‘Hey, this is SUPER fun!’ lightbulb goes on in your puppy’s head is the moment you have unleashed a monster. Better to teach cat manners first and then allow introductions than to try and reign in the cat-chasing tendancies. If you haven’t mastered ‘sit, stay, look at me’ with your puppy, it’s not a good thing to let them off loose with your cat. You may also want to use a hormone spray like Feliway to ensure your cat feels calm around the puppy. Puppies who are well-socialised around cats will usually accept the cat very quickly and come to understand the cat’s behaviour. 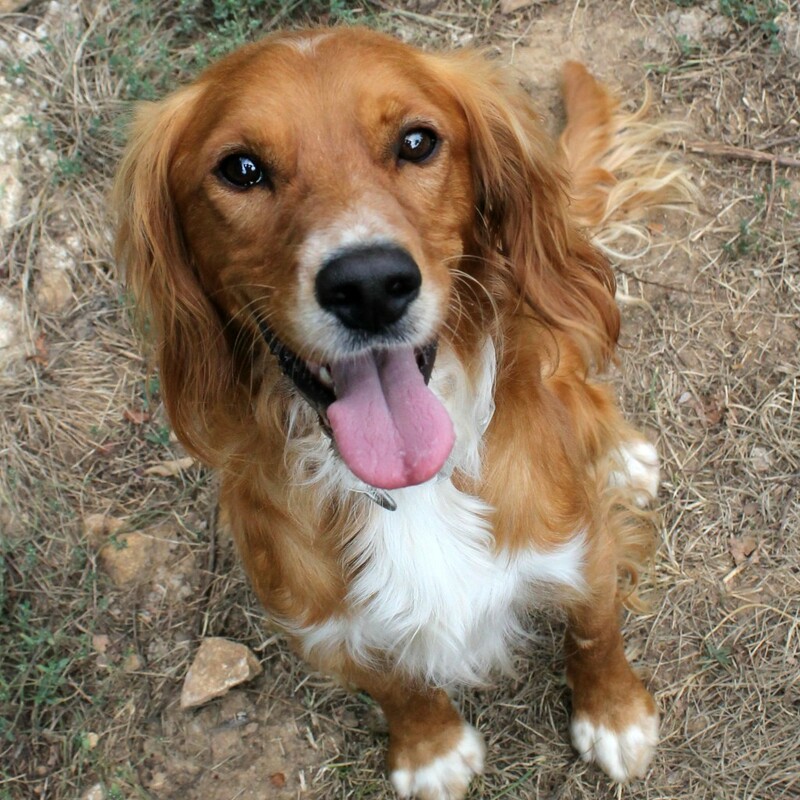 Think carefully about the breed or predominant characteristics of the dog you bring home. You may have more difficulty overcoming the prey drive of a hound or a terrier and you may also find that terrier pups can be tenacious in pursuit of small, furry things unless they are trained from a very early age. Shepherds, retrievers and lap-dogs may have much less prey drive – though all dogs, whatever their breed, are dogs. That chase instinct can be present in all of them. You have no idea what you are getting with an adult dog in terms of cat behaviour, but some of the same guidance applies. Check out your dog’s behaviour with cats before you leave the refuge. Try to spend a bit of time with them before the adoption on basic commands such as “sit” and “leave it”. Keep your dog on a lead for the first introductions and follow the guidance above for treat-and-reward. Take your time with the introduction and allow your cat plenty of space away from the dog, but don’t allow it to escape completely if it is a nervous cat: you may never see it again! Your cat needs to understand that your new dog is nothing to be afraid of. If you are in any doubt, invite a professional animal behaviouralist to come and help you. 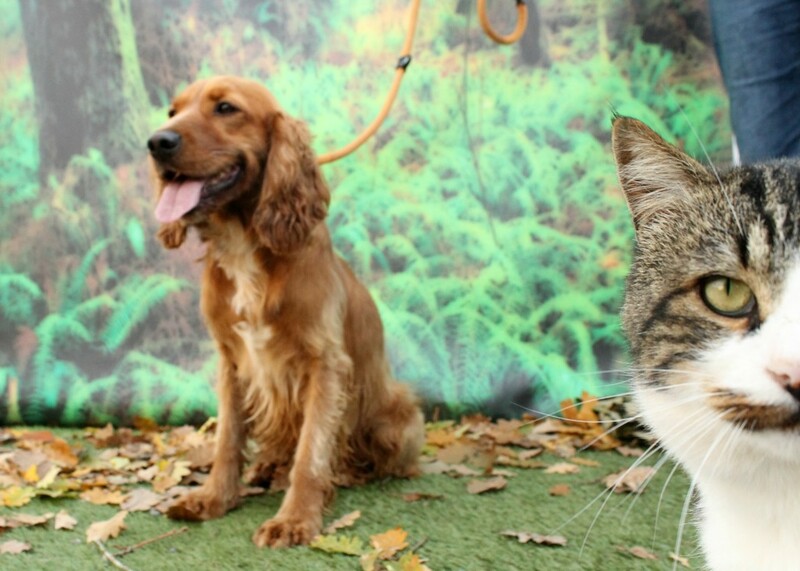 A good introduction is vital for a positive relationship between dogs and cats.